Machinarium hit the Play Store the other day and is a fantastic little game that you might overlook, just like the game’s main character. That little guy is Josef and all he wants is to do is save his robot girlfriend from the city. You take control of this guy and solve your way through puzzles along the way. Josef can extend upwards and shrink down to get to places that he couldn’t get before to help him nab pieces to move onto the next area. The game is quite fun and some of the levels will keep you scratching your head for a while, but never so much as to frustrate you. 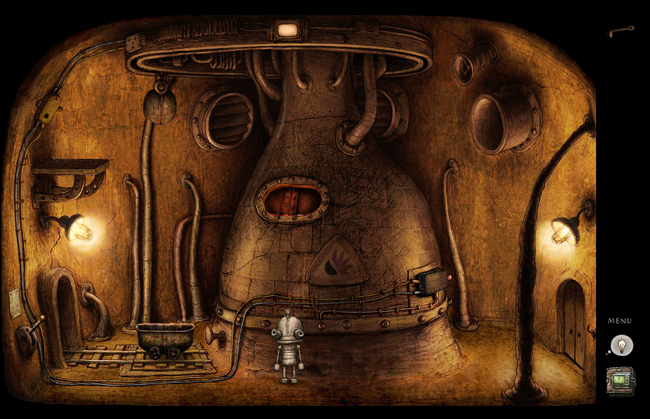 Machinarium won many awards as an Indie game on other platforms and it aims to do the same on Android. It’ll cost you $3.99 in the Play Store, but if you’re looking for a fun and challenging game look no further. Samsung's Japanese Variant of the Galaxy SIII to Sport 2GB of RAM?